Ceramics manufacturer Kyocera Corporation plans to expand its Internet of Things (IoT) business. The company established its software laboratory in October 2015 which researches combining hardware and software technologies in the company’s business fields, including components for automotive, electronic and semiconductor applications, industrial cutting tools, printing devices and energy solutions. The laboratory looks at strengthening R&D infrastructure for embedded software in its components businesses, improving the development of software technologies for equipment businesses and creating new businesses by integrating components and devices, equipment and systems, and services. It launched with a team of 20 employees and Kyocera has doubled them to approximately 40 as of March 2016 with plans to further increase to around 200 by 2020. According to the company, the IoT market continues to experience unprecedented growth with an estimated 26 billion devices to be linked to software by the year 2020. In Germany, the computerization of manufacturing has been promoted since the government’s Industry 4.0 action plan began in 2011. The IoT market continues to experience unprecedented growth with an estimated 26 billion devices to be linked to software by the year 2020. 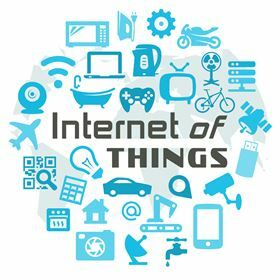 The US is also making efforts toward developing IoT by establishing the Industrial Internet Consortium (IIC), which involves major electrical and electronic manufacturers, semiconductor firms and telecommunications equipment manufacturers. Japanese manufacturers have also been pursuing efforts to combine hardware technologies with software, expecting new business opportunities as a result of the proliferation of IoT. This story uses material from Kyocera, with editorial changes made by Materials Today. The views expressed in this article do not necessarily represent those of Elsevier.